Sewing down the straight edge to the point was the easy part, then a pause with the needle, holding the fabric to lift and swivel before continuing up the other side. Getting the curved edges right was another matter, almost impossible. 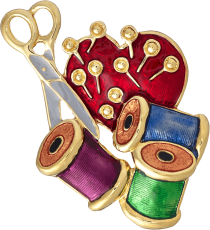 The double layer of fabric had to be manoeuvred gently, gradually, as the needle raged forward biting into the soft, pliable pile as each pin was removed. Just in time. She pressed the seams together, the iron burning into every stitch right-side and wrong. Some might have called it love, others revenge, others still, obsession. Sliding the plastic gloves over her fingers to avoid staining, she stuffed the fabric heart with the dripping organ it had been designed for, glad to have chosen black velvet, not red. It was a tight fit, the very nature of the beast slippery and unctuous, ready to slide away, but the seams were double-stitched and secure. She’d made sure of it, had measured the required dimensions precisely against the organ itself, amusing herself with the knowledge it was not heart-shaped at all. Card shops had a lot to answer for. Almost done. 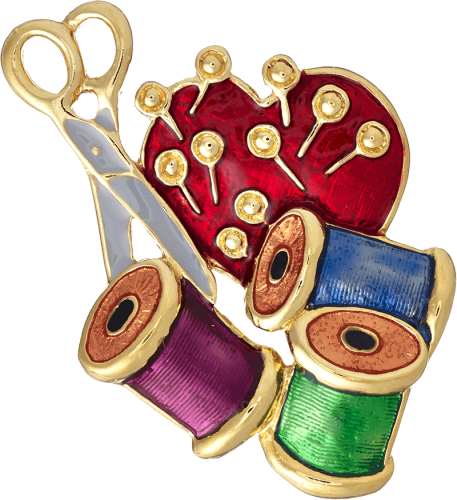 She selected a large safety pin from her sewing box, piercing the back of the finished brooch through the velvet and the heart as one. As a finishing touch she stabbed a few pins through the front, the fancy ones with the red bead heads. When he had told her what he had done it had come as a shock. But not as much of a shock as the one she had given him. She would wear his heart on her sleeve. Always.